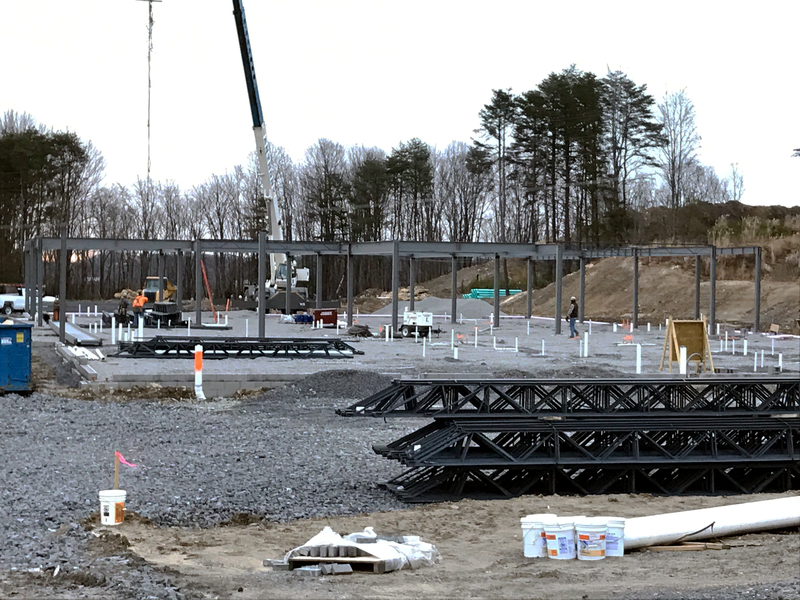 The steel has arrived and work on the new WVU Medicine clinic being built in Marion County is underway. The facility, located off the Downtown Fairmont Exit 136 of I-79, on the Fairmont Gateway Connector, will cost $13.9 million (not including real estate purchase). It will be owned and operated by University Health Associates (UHA), will be 25,000 square feet, and feature 39 exam rooms and three procedure rooms. The building is scheduled to open in late summer 2017. For some renderings of the inside and outside of the facility, click here. Visit the WVU Medicine Fairmont web page on CONNECT for a list of Frequently Asked Questions about the facility.